Facebook has its own advertising network which allow people to promote their page and posts to reach more audience. Being a number one social networking site, Facebook has a great potential to target people at large scale. As like other advertising network, it also provide interest-based ads which are more relevant to the people and the topics they're interested in. You'll see ads related to the content you've engaged in the past. Facebook collects data from your profile (such as your liked pages, location, gender, language etc.,) and from the websites and apps off Facebook. In my previous article, I had already discussed on how to opt out of interest-based ads on Facebook if you don't want to see them. Now let's come back to the main topic. You might have seen many ads on Facebook where it shows you the social actions of your friends. 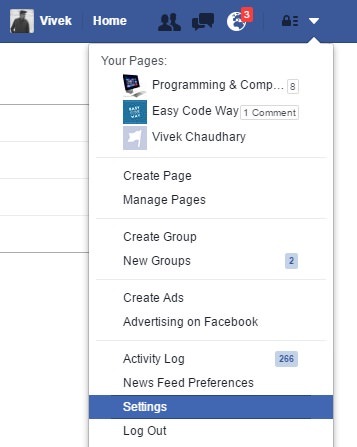 For example, if any of your friend will like, comment or share the promoted ads, you'll see its name in the ad suggestions (generally in the news feed). In the same way, your friends might have also see your name in the ad suggestions where you've participated (See preview in the below picture). Now the question is, why Facebook do this? The intentions are very clear. As someone will like an ad, Facebook will show its social actions to its friends, ultimately aiming to increasing the ad recommendation. People always love recommendations from their friends. They are more interested to know what their friends are doing on Facebook. Obviously, If you'll like an ad, there is more possibility that your friends will also love it, thus serving more relevant ads to the users. 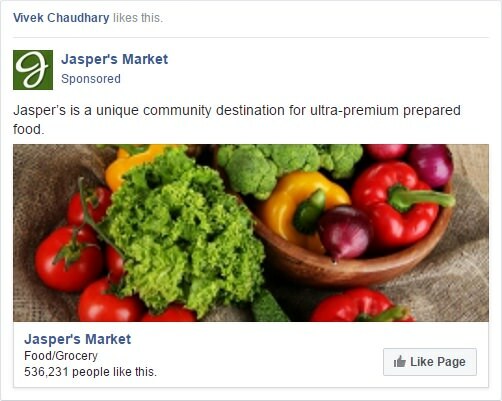 This is what makes Facebook unique and different from other advertising networks. First of all, login to your Facebook account and click the drop-down arrow icon at the top-right corner of the screen. Move to "Ads" tab from the left sidebar menu. Here click the edit link next to the "Who can see your social actions paired with ads". Finally change the audience from "Only my friends" to "No one". 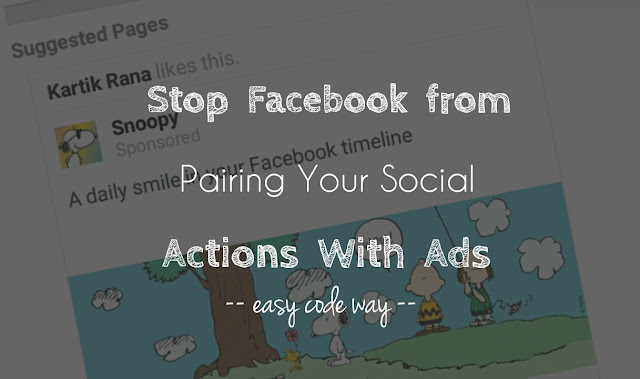 After doing this, none of your friends will be able to see your social actions paired with the ads you've engaged. This setting applies to your likes, comments, shares, app usage and events joined that appear with ads your friends see. Note that, they can still track your activities manually. For example, they can see what you've commented directly from the post. 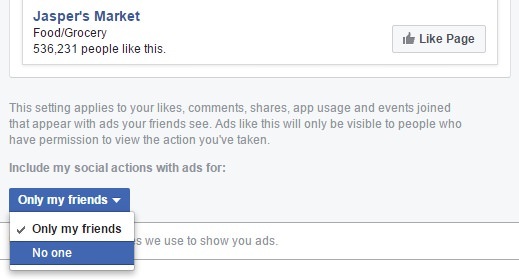 So this is how you can prevent Facebook from pairing your social actions with the ads your friends see. If you've any doubt, feel free to ask me in the comments. Stay tuned for more interesting tutorials. We often do many unnessesary expenditures on facebook ads which sometimes get us zero outcome. For low cost facebook ad template, therefore, Adhacker is the best.